At any given time 31 million Americans are seeking professional help for low back pain. Many of these pain sufferers turn to medication, injections and eventually surgery to alleviate their pain. Most back pain is caused by muscular imbalances, muscular weakness, poor posture and poor movement habits. Most back pain can be managed changing and improving ones musculature and habits. It is a FACT medicine, and injections change nothing! Piriformis Syndrome (buttock pain), Sciatica (back & leg), and Myofascial Pain are common conditions which produce low back, buttocks or radiating leg pain. Low back or buttock pain often results from the piriformis muscle compressing your sciatic nerve, the longest nerve in the human body. Pressure on the sciatic nerve can produce severe pain and discomfort radiating down the leg and up through the buttocks to the lower back. Pain that radiates down the leg is commonly called Sciatica. A common cause of Sciatica is Piriformis Syndrome. I have had this condition myself for many years. I still get a flare up now and then…mostly tightness, but I now keep all my back issues managed. How did I conquer my back pain? Foundation Training! Foundation training will will help anyone improve their posture, Correct muscular imbalances, stretch and strengthen the posterior chain, and change your movement patterns. That’s all four of the above mentioned causes….all 4. A tight piriformis is as common as a cold! 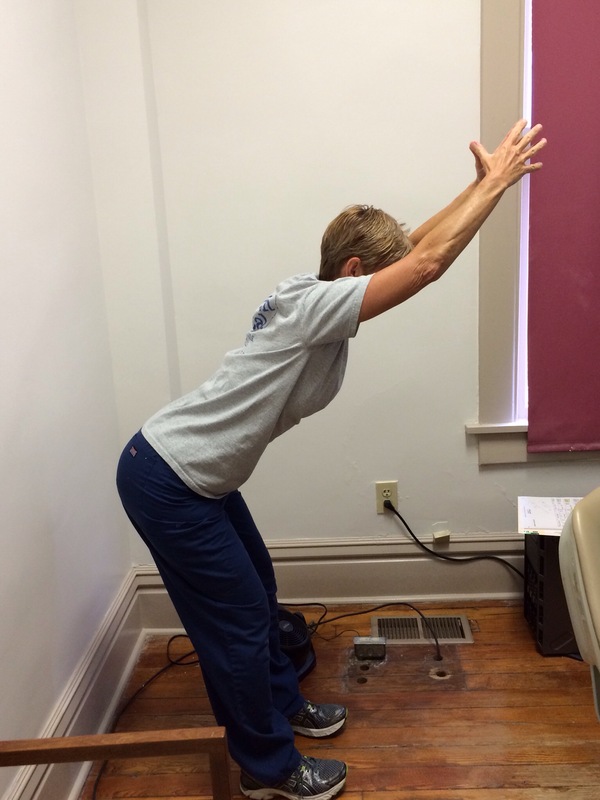 If you have been diagnosed with sciatica your piriformis has to be addressed. The injections and pain pills you are taking for relief are not Stretching or releasing the piriformis. The drugs are not addressing your gluteal muscles. The medication is not addressing your posture or movement patterns. Foundation Training will do all the above. Contact me today for an Assesment. Have a great day! I just want to take a minute to acknowledge my gratitude for how awesome FOUNDATION TRAINING is. To have a tool that can teach a person about their own body. To have a tool to help get someone out of pain. To have a tool that teaches awareness. To have a tool that can help correct imbalances and poor movement patterns. To have a tool that can correct posture. To have a tool that can help people move better and feel better. Because of FOUNDATION TRAINING… I am a better teacher. Because of FOUNDATION TRAINING…I am inspired to learn more so I can help more and teach more. Because of FOUNDATION TRAINING…I get to learn from other awesome practitioners of different mediums. Because of FOUNDATION TRAINING…I am forever connected to the FT family. FOUNDATION TRAINING is powerful medicine! If you have shortness of breath, fatigue easily just going for a short walk, or have back pain…practice DECOMPRESSION BREATHING. Oxygen, is the most healing element available. All of us have access to it, yet we do not make the most of it. Oxygen heals! Oxygen heals injured tissue, oxygen goes to every cell in our body in order to replenish, so those cells can do their respective jobs. Oxygen, helps us deal with stressful situations. Oxygen helps our immune system fight bad bacteria in our body. Oxygen just makes us feel better. Just going outside and taking a big deep breath “feels good”! Why don’t we spend more time breathing better? I guess the same reason we don’t exercise or eat a better diet…we just don’t. Let’s see if we can change that starting today. Stand nice and tall…weight back over the heels, navel gently pulled back towards the spine, shoulder blades gently pulled down and together with the chest opened up, chin tucked to chest(to elongate the neck). Breathe in thru the nose raising the ribcage…as you let the air out thru the mouth try to maintain the elevation of the ribcage. Try it again. Get into posture…weight over heels, navel gently in, open chest with shoulder blades down and together, chin tucked towards chest…. Breathe in thru the nose, elevating chest and keeping the posture…let the air out thru the mouth while maintaining the ribcage elevation and the posture. This exercise will take practice…lots of practice…and you will be greatly rewarded with the benefits oxygen provide. Please visit you tube or Foundation Training.com to see video’s of decompression breathing and other exercise. Learn to master this technique. It comes in handy when back muscles tighten up, kids get on your nerves, you have a deadline to meet or you just need to take a 5 minute break and regroup. February is more than just waiting on Valentine’s Day to get here…indulging in chocolates, roses and romantic dinners. February is “heart awareness” month! Since so many of us just started an exercise program in January…right? Let’s take a look at how moderate exercise benefits the heart. Cardiovascular exercise involves the use of large muscles in a repetitive fashion, activating muscle fibers programmed for endurance and utilizing a heart rate range anywhere from 40 to 85 percent of your maximum heart rate. Think: running, jogging, swimming, biking, or spinning. Cardio training teaches the heart (over time) to handle larger volumes of blood and push more blood out thru the body with fewer beats of the heart. This is how you develop a lower resting heart rate…this equates to less work on our heart which is our most valuable muscle. Strength training is also important for a healthy heart. As the muscles contract—say the arm muscles during a bicep curl—they press and close the blood vessels that flow through them. This leads to increased blood pressure in the rest of the body and the heart has to fight against a stronger force to push blood out. The heart adapts to this by increasing the thickness of the left ventricle wall. This thickness derived from chronic weight training is healthy, whereas the thickness from chronic high blood pressure is not. What’s the difference? The healthy heart only has to work under pressure for two to three hours of strength training per week, whereas the heart with high blood pressure has to work 24 hours a day, seven days a week. The second heart may exhaust, whereas the healthy heart becomes stronger with a lower resting heart rate. No matter what changes in the world around us…the fact that all of us need to exercise for our health never changes. The sooner you start the better. If you have never really had an exercise routine…it’s not to late. Get outside and walk, play tennis or golf, hire a trainer, take yoga, learn Foundation Training, ride a bike take a hike….whatever!